Cover design for Perceptions of Science in America, a publication for The Public Face of Science project of the American Academy of Arts & Sciences. 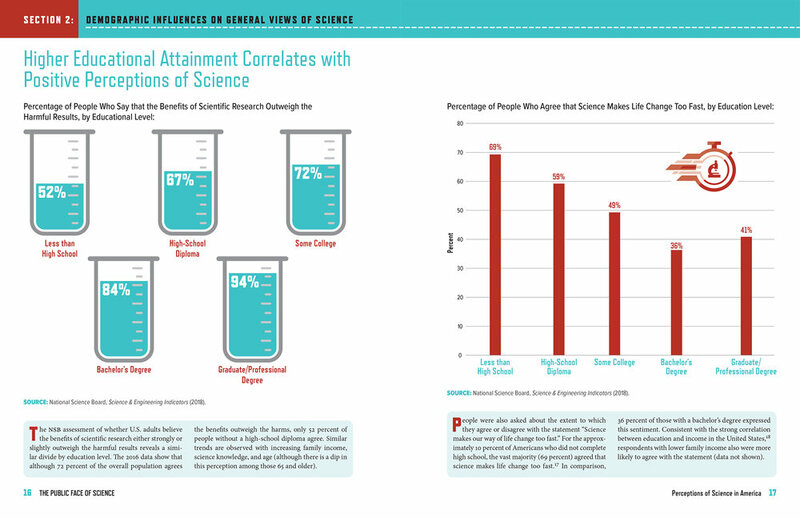 Inside spread design for Perceptions of Science in America, a publication for The Public Face of Science project of the American Academy of Arts & Sciences. 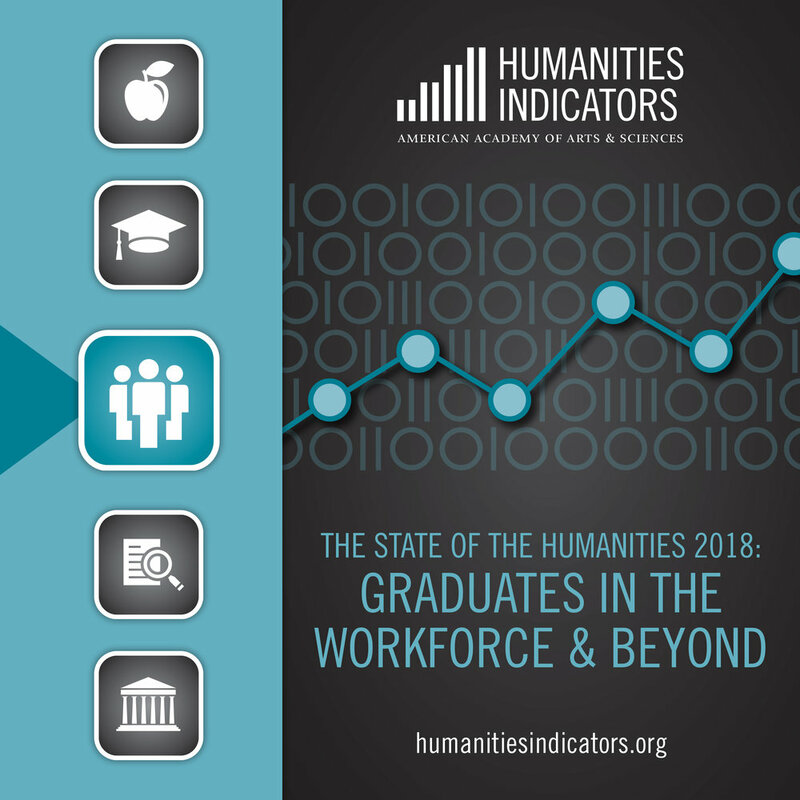 Cover for The State of the Humanities 2018: Graduates in the Workforce & Beyond, a publication of the Humanities Indicators project of the American Academy of Arts & Sciences. Cover design for The Future of Undergraduate Education, The Future of America, a publication for the Commission on the Future of Undergraduate Education of the American Academy of Arts & Sciences. Inside spread design for The Future of Undergraduate Education, The Future of America, a publication for the Commission on the Future of Undergraduate Education of the American Academy of Arts & Sciences. Cover for the 2017 Annual Report of the American Academy of Arts & Sciences. Cover design for the 2017 Projects, Publications, Meetings and Donors to the Academy publication. Inside spread design for the 2017 Projects, Publications, Meetings and Donors to the Academy publication. Cover for America's Languages, a publication designed for the Commission on Language Learning of the American Academy of Arts & Sciences. Inside spread for America's Languages, a publication designed for the Commission on Language Learning of the American Academy of Arts & Sciences. 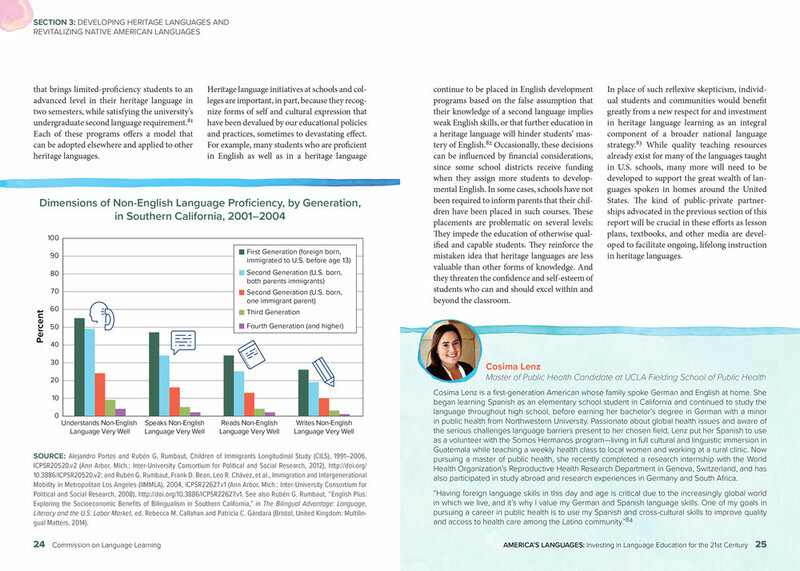 Cover for The State of Languages in the U.S.: A Statistical Portrait publication designed for the Humanities Indicators project and the Commission on Language Learning of the American Academy of Arts & Sciences. Cover design of a publication for the Commission on the Future of Undergraduate Education project of the American Academy of Arts and Sciences. 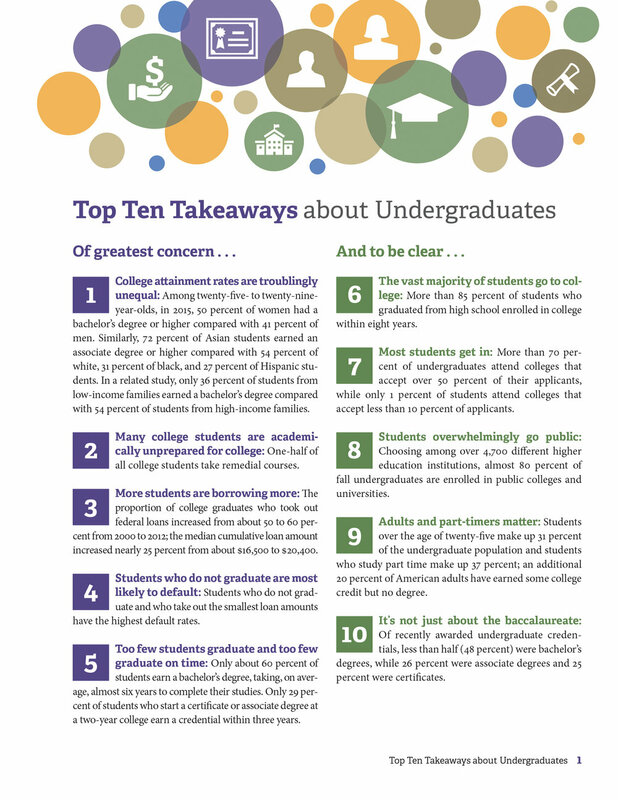 Inside design for the "Top Ten Takeaways about Undergraduates" in a publication for the Commission on the Future of Undergraduate Education project of the American Academy of Arts and Sciences. Inside spread for a publication for the Commission on the Future of Undergraduate Education project of the American Academy of Arts and Sciences. Cover for the 2016 Annual Report of the American Academy of Arts & Sciences. 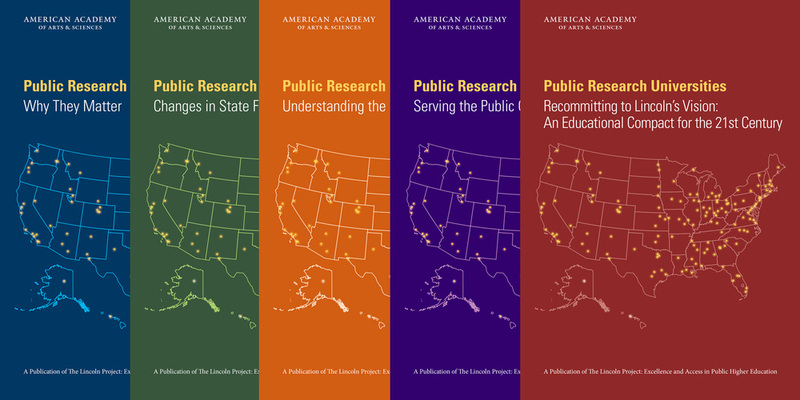 Covers for a series of five reports on Public Research Universities from the Humanities, Arts, and Education Lincoln Project of the American Academy of Arts & Sciences published in 2015 and 2016. Illustration for the Introduction of Public Research Universities: Recommitting to Lincoln's Vision—An Educational Compact for the 21st Century, a report of the Humanities, Arts, and Education Lincoln Project of the American Academy of Arts & Sciences published in 2016. Illustration done in Illustrator. Inside Spread for the Introduction of Public Research Universities: Recommitting to Lincoln's Vision—An Educational Compact for the 21st Century, a report of the Humanities, Arts, and Education Lincoln Project of the American Academy of Arts & Sciences published in 2016. Illustration done in Illustrator. Illustration for the Introduction of Public Research Universities: Serving the Public Good, a report of the Humanities, Arts, and Education Lincoln Project of the American Academy of Arts & Sciences published in 2016. Illustration done in Illustrator. Inside spread for Public Research Universities: Serving the Public Good, a report of the Humanities, Arts, and Education Lincoln Project of the American Academy of Arts & Sciences published in 2016. Infographics and icons done in Illustrator. 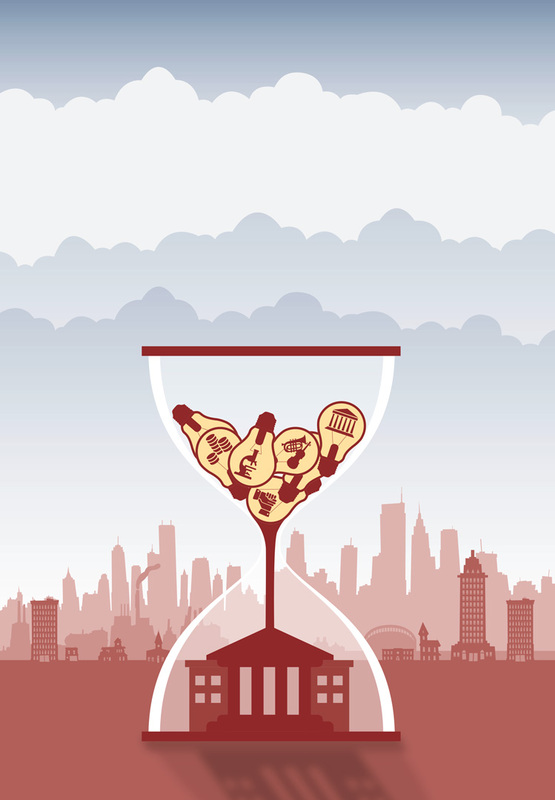 Illustration for the Introduction of Public Research Universities: Understanding the Financial Model, a report of the Humanities, Arts, and Education Lincoln Project of the American Academy of Arts & Sciences published in 2016. Illustration done in Illustrator. Inside spread for Public Research Universities: Understanding the Financial Model, a report of the Humanities, Arts, and Education Lincoln Project of the American Academy of Arts & Sciences published in 2016. Infographics and icons done in Illustrator. Illustration for the Introduction of Public Research Universities: Changes in State Funding, a report of the Humanities, Arts, and Education Lincoln Project of the American Academy of Arts & Sciences published in 2015. Illustration done in Illustrator. Original illustration for the Introduction of Public Research Universities: Changes in State Funding, a report of the Humanities, Arts, and Education Lincoln Project of the American Academy of Arts & Sciences published in 2015. Illustration done in Illustrator. This illustration was replaced with the balancing bear one as we thought during an election year that the elephant looked too similar to the Republican elephant. Inside spread for Public Research Universities: Changes in State Funding, a report of the Humanities, Arts, and Education Lincoln Project of the American Academy of Arts & Sciences published in 2015. Infographics and icons done in Illustrator. Inside spread for Public Research Universities: Why They Matter, a report of the Humanities, Arts, and Education Lincoln Project of the American Academy of Arts & Sciences published in 2015. Infographics done in Illustrator. Cover for the 2015 Annual Report of the American Academy of Arts & Sciences. Cover for a report of the Humanities, Arts, and Education project of the American Academy of Arts & Sciences published in 2015. Cover for a report of the Science, Engineering, and Technology project of the American Academy of Arts & Sciences published in 2014. 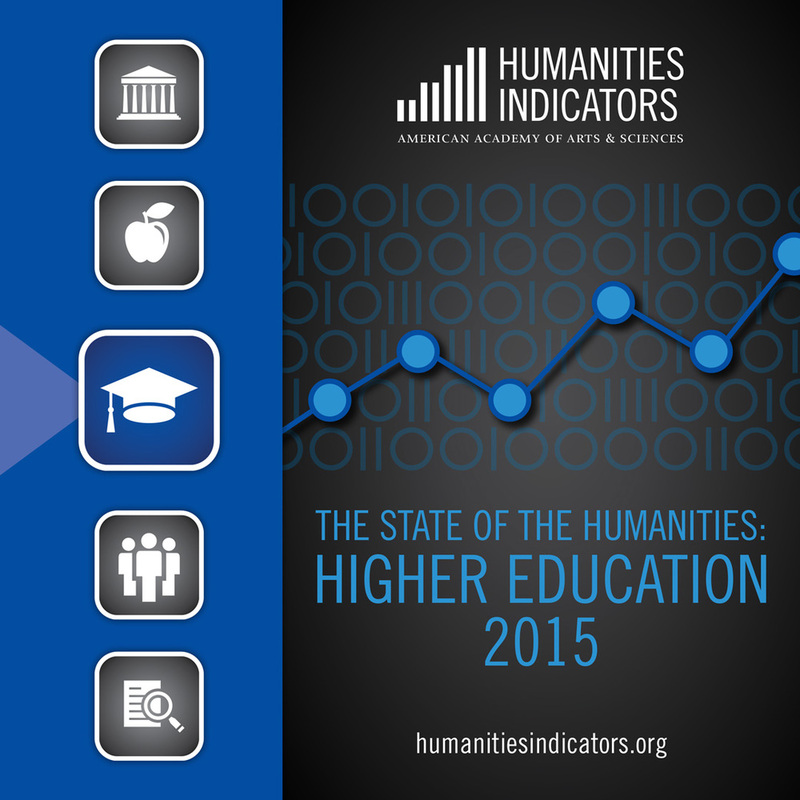 Cover for The State of the Humanities: Higher Education 2015 publication designed for the Humanities Indicators project of the American Academy of Arts & Sciences. Cover for the 2014 Annual Report for the American Academy of Arts & Sciences. Cover for The State of the Humanities: Funding 2014 publication designed for the Humanities Indicators project of the American Academy of Arts & Sciences. Front and back cover to a publication of the American Academy of Arts & Sciences highlighting its projects, publications, meetings, and donors. Published in 2014. 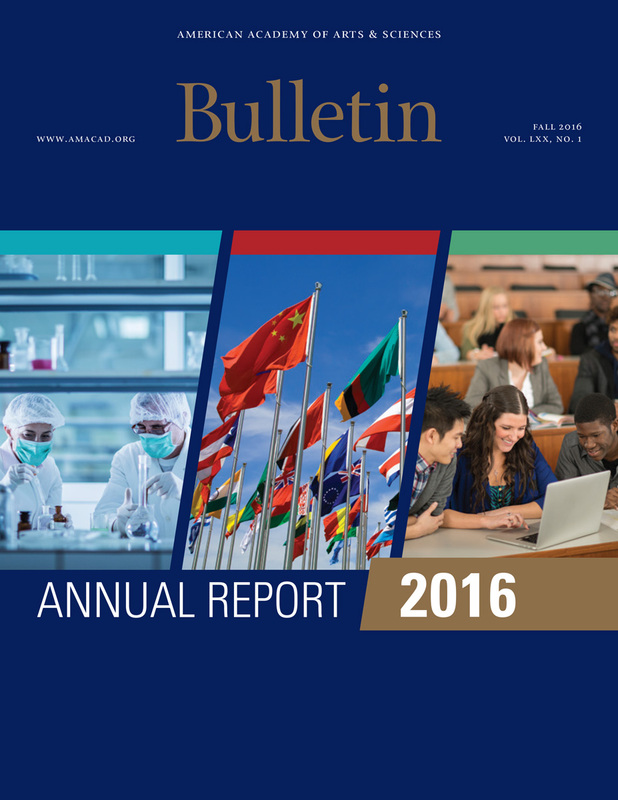 Cover for the University Affiliates publication for the American Academy of Arts & Sciences. Cover incorporates all of the seals of the universities. 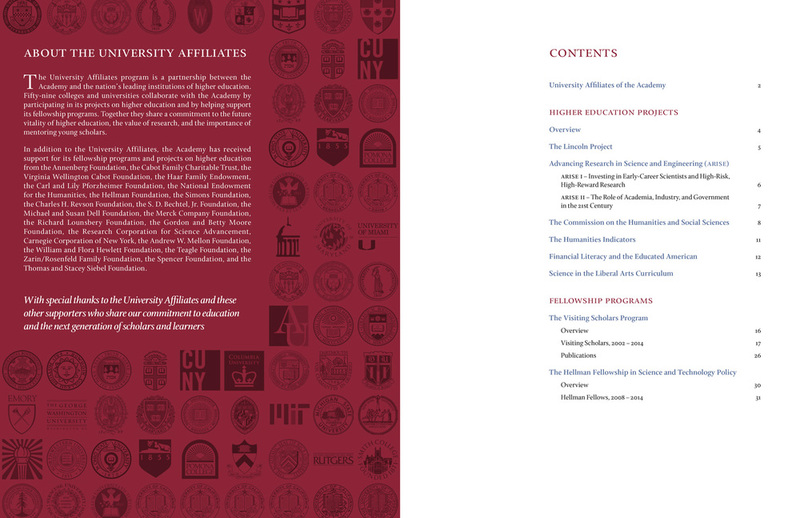 Inside layout for the University Affiliates publication for the American Academy of Arts & Sciences. Cover incorporates all of the seals of the universities. Cover for the 2013 Annual Report of the American Academy of Arts & Sciences. 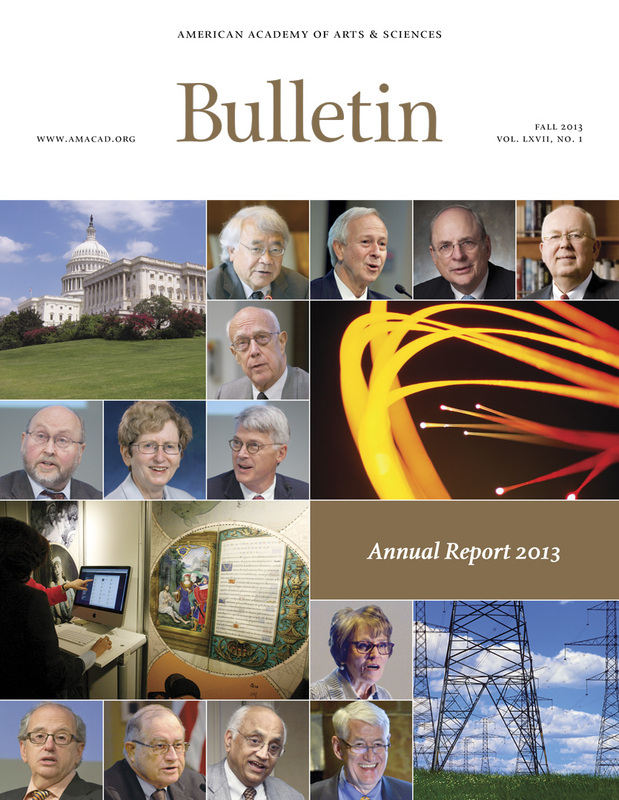 Inside layout for the 2013 Annual Report of the American Academy of Arts & Sciences. Cover for the 2012 Annual Report of the American Academy of Arts & Sciences.